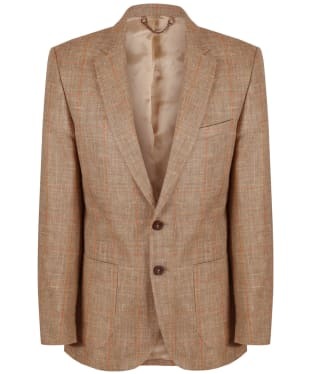 If the situation calls for something smart, then the Men's Alan Paine Combrook Blazer is an ideal candidate. 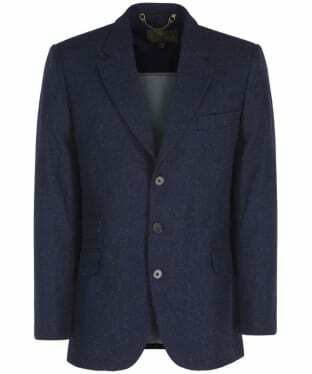 This tweed wool blazer is available in country colours that suit most events and add a touch of class to your outfit. The contrast lining of the blazer matches the outer check to complete to look. 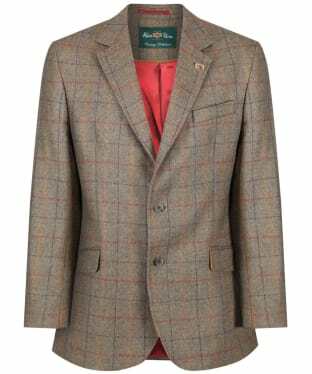 The Dubarry Bramble Tweed Jacket is a soft tweed blazer that has been crafted from a blend of warm wool, premium silk and lightweight linen to offer a luxurious feel and exceptional finish that you are sure to love. 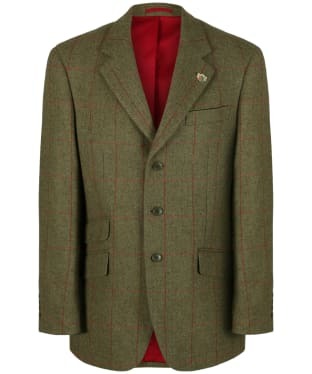 Complete with a felt under collar and a wide checked print to project classic country styling, this expertly tailored jacket is fully lined with the signature Dubarry jacquard lining, showcasing the brand's attention to detail. 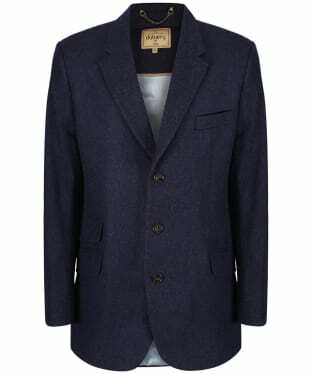 The jacket fastens at the front with three horn buttons, and boasts three ticket pockets to the waist and single chest pocket. 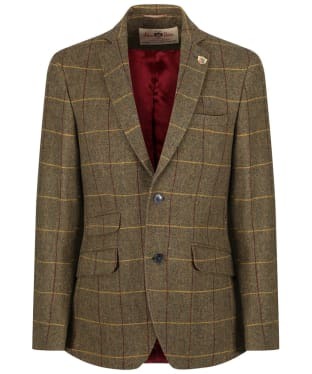 Easily worn over shirts and shooting attire, the Bramble jacket lends itself to any event. 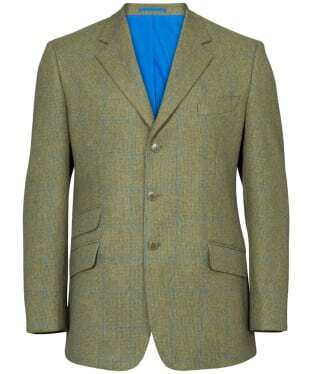 The men's Alan Paine Surrey Blazer is a fantastic option for the traditional country gent. Complete with a water repellent finish to ensure your jacket is always looking in fantastic condition, the Surrey Blazer features a double vent back and a classic fit to offer great ease of movement and cut a flattering silhouette on all shapes and sizes. 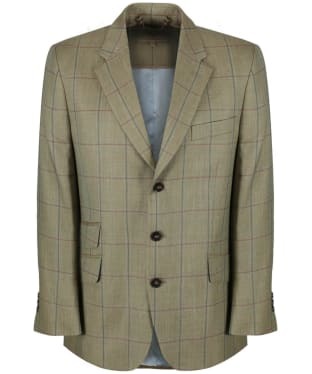 Lined with an attractive split lining to complement the outer check, the Surrey men's blazer features stunning fine touches to give this jacket a premium finish, including three ticket pockets to the waist and one welt pocket to the chest for a pocket square. 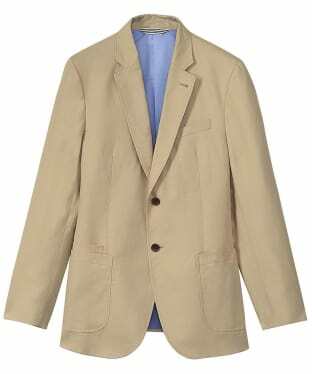 The Men's Dubarry Millar Linen Sports Jackets offers you a classic Dubarry style you are sure to love! The Millar has been crafted from a blend of silk and linen to offer you an added touch of comfort and luxury. 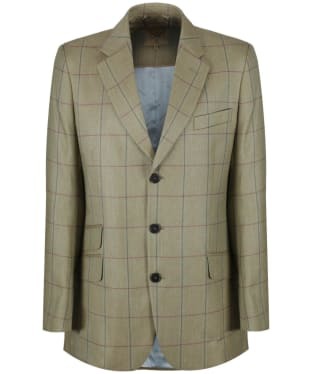 This beautifully crafted jacket is perfect for any country gent, featuring double back vents to give you added comfort and movement when you need it most! This luxury jacket has been finished with classic Dubarry branding, featuring the signature Dubarry jacquard lining and Dubarry horn buttons. 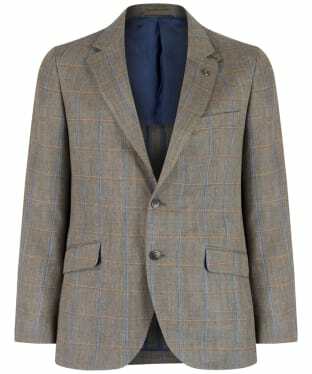 For an added touch of stylish detailing this jacket also features a bespoke stripe sleeve lining. The Dubarry Millar is perfect for teaming with jeans and a shirt to complete a smart country look, ideal for wherever you may be heading this sporting season. This jacket also features plenty of subtle yet classic Dubarry detailing to give you the mark of Dubarry quality and style. The Men's Hackett Multi Twin Windowpane Blazer is a handsome piece made from a silk and linen blend in Robert Noble cloth, woven in Great Britain. 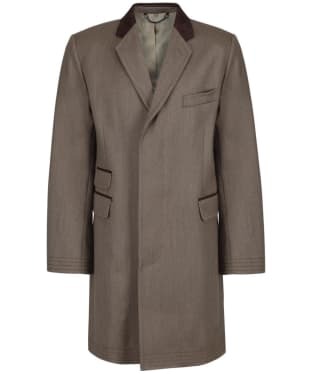 Features include two button fastening, notch lapels, multiple pockets on the outside and inside of the jacket making it practical, working cuffs and double vents for movement. This classic, partially lined style will fast become your go-to blazer this season, when you want effortless sophistication. 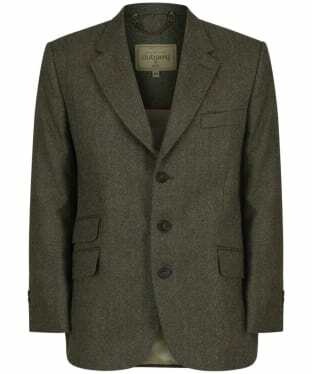 The Men's Alan Paine Surrey Jacket is the perfect addition to any country gent's wardrobe! 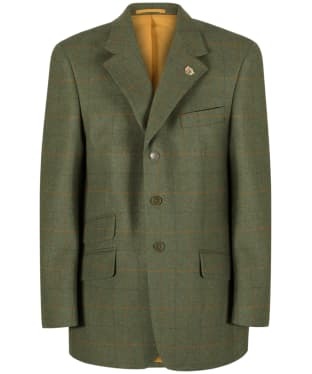 The Alan Paine Surrey collection is the collection where town meets country, offering you a beautifully crafted jacket which is design to be worn both on and off the field. This jacket has been crafted from a water repellent outer to offer you an added weather protection whilst still looking great! The classic fit offers you added freedom of movement when you need it most. The welted chest pocket helps to complete the classic blazer look we all know and love, while the secure internal pocket is ideal for keeping any valuable safe whilst on the move. 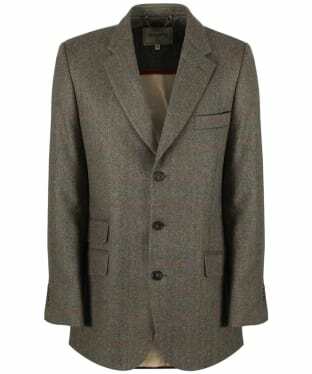 For an added touch of stylish detailing the Alan Paine Surrey jacket has been finished with a contrasting lining which complements the over-check within the stylish tweed outer.